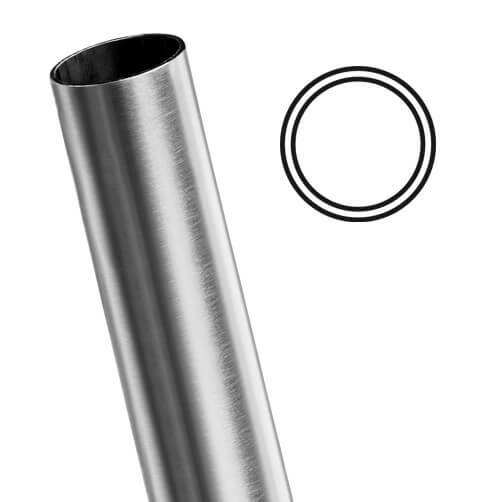 Stainless steel un-drilled balustrade post with pre-welded base plate. 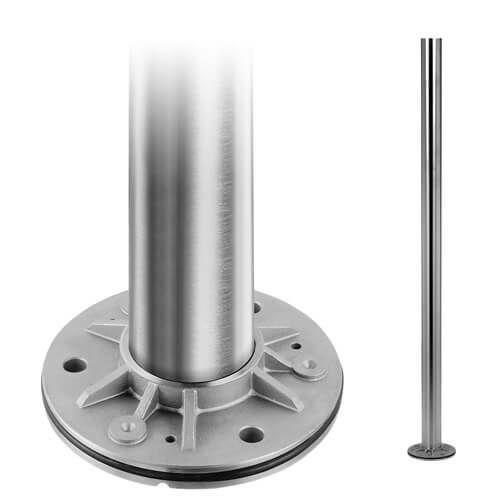 The modular plain post comes un-drilled to allow modification to your own specific requirements. 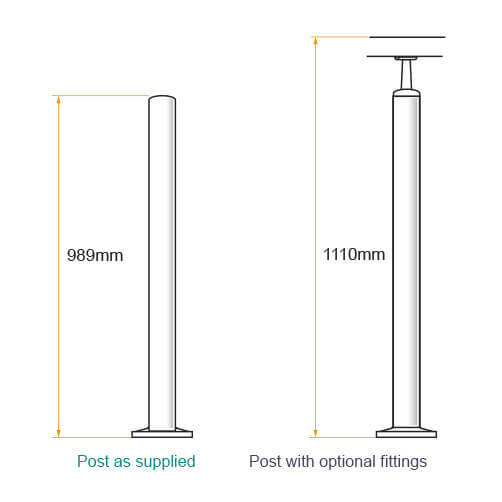 The post height is set to 989mm, so that with a saddle and handrail, the complete height is 1110mm which meets with standard safety building recommendations. With a strong wall thickness of 2.6mm to match the rest of the modular range perfectly. Manufactured in 304 or 316 grade corrosion resistant stainless steel and to a brushed satin finish. All posts are supplied with an open top for you to add the balustrade fitting required for your project (available to purchase separately, see below). 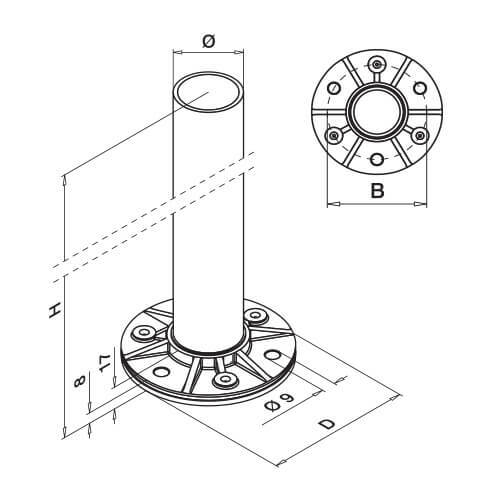 If you require different post heights, hole sizes, amounts or angles then please don't hesitate to get in touch, please call our technical team on 01302 752 504 or email us for further information. We offer a wide range of post fittings for a multitude of balustrade needs, whether it be Tube End Caps, Handrail Saddles, Tube Mounting Adapters, Tube Connectors or Post Base Plate Covers. Post Base Cover Caps are the ideal finishing touch to your balustrade post.